5 Must Follow Home Energy Savings Tips for Summer - Winningback | Shopping and Finance Blog, Reclaim your finances today! PERCY SAYS… There are various ways that a person can go about reducing their utility bills. 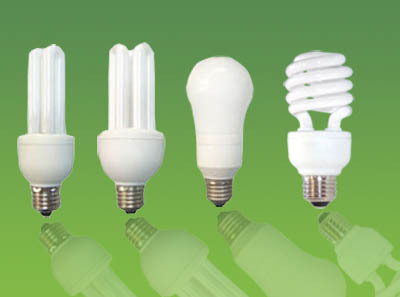 Here are five tips you can use to go about saving energy in your home. This may appear as obvious but not so many people remember to take care of the air filters. This prompts dirt to accumulate and the air conditioning unit becomes less efficient or is forced to work harder. They need to be replaced after a certain period of time when they become inefficient and this may be a cost that some people are looking to avoid. One way of making sure that it lasts longer is by cleaning it on a regular basis. This can be done once every four months or you can even make it at the beginning of each season. Weather stripping is one activity that needs to be done regardless of what type of weather is being experienced at that particular moment. Failure to do this means that the house will be filtering in some cold air during the cold weather or hot air during the summer when you are looking to stay cool. This renders your efforts to maintain the temperatures inside the house null and void. For one to ensure that the house is well stripped is that no sunlight should be able to come through the door frames. One needs to make sure that the spaces around the door properly sealed and this can be done by acquiring materials from a home improvement store. This ensures that the energy in the house is well conserved thus reducing the bills. Ceiling fans have a good ability to regulate temperatures in the by recirculating air in a room. They are not only useful when it comes to cooling the temperature but they can also help keep the house warm during winter. They use lesser electricity when compared to air conditioners although they may be expensive to install. They will however repay you over the years with the amount of energy they are able to save you. Vents, just like the filters, need to be kept cleans for them to be efficient. When they are dirty, air flow is hampered and one is not able to feel their full effect. You should also ensure that there are no obstacles near the vents that may end up disrupting the flow of air. Try and make sure that all the furniture is kept at a distance away from the vents so as to facilitate the flow of air. You can also allow professionals to do a thorough cleaning job of your vents using vacuums which have industrial vacuums. There is some form of dirt that you may not be able to remove by yourself though it may cost you some money. This will be totally worth it if you look at the amount of electricity bill it is able to save you. A good time to do it is just before summer. If you cannot afford a professional, you can choose to use a home vacuum cleaner. Some really good advice on how to save energy for the summer.